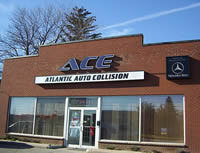 ACG Oakville has been serving the Oakville community since 1998. This repair facility has recently undergone a 5,000 square foot expansion and equipment upgrade to better service its retail & dealership customers. ACG Oakville is the exclusive body shop for 5 new car dealerships in the area and a preferred partner with most insurance companies.